PRIMA DONNA: Grammy-winning songstress Monica has been added to the lineup of stellar acts set to grace the mainstage at Jamaica Jazz & Blues 2013, slated for Thursday, Jan. 24 to Saturday, Jan. 26. Famed musician Arturo Tappin also joins the star-studded bill that already comprises R&B-pop royalty John Legend, Mary J. Blige and Michael Bolton. “Each year, [we do a] poll of the artistes that Jamaicans want to see on the festival, and Monica is always a request,” explains Walter Elmore of TurnKey Productions. “We are pleased to have her, and I believe patrons will enjoy her.” New Life, Monica’s seventh studio album, was released in April. For much more on the festival (including ticket prices and outlets), go to jamaicajazzandblues.com. 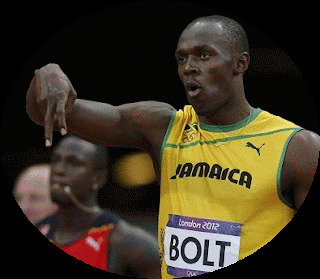 STUFF OF LEGEND: Jamaica’s sprint king Usain Bolt and American tennis queenpin Serena Williams – two of the most dominating superstars at the 2012 London Olympic Games – have earned the United States Sports Academy’s 2012 Male and Female Athletes of the Year awards. Williams took gold in the women’s singles and doubles at the London Games, becoming the only person to hold a career Golden Grand Slam in Olympic competition. This year, the American all-star also won Wimbledon and the U.S. Open, bringing her total Grand Slam tally to 15 titles. Meanwhile, Bolt successfully maintained his reign as the World’s Fastest Man by repeating as the Olympic gold medallist in the sprints, becoming the first man ever to win both the 100M and 200M events in successive Summer Olympics. His raft of end-of-year accolades so far includes honours from the IAAF and France’s L’Equipe magazine.